Thank You for your interest in ACT and the mission it represents. The ‘MAP’ produced below represents a simple and valuable source of reference to the vital information needed by all freedom loving people. Since most Americans are unaware of the realities, we only ask that you learn and distribute the information that is presented here so all will be aware and informed. Important information from ACT and other sources that will inform & enlighten you will be included and updated weekly at Houraney.com so please spread this information to as many patriots as you can. 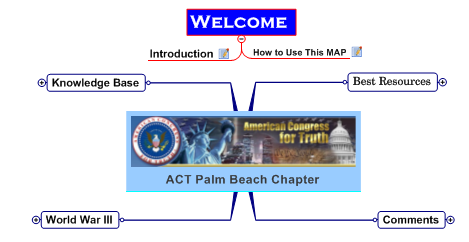 The links are: ACT for America, Houraney.com, ‘This is Islam’ Page, This is Islam’ category, and the ACT ‘MAP’ Page. Welcome to the world of MAPS. MAPS are a way to organize & distribute information easily, efficiently, and effectively. In my personal opinion, this is the most useful software since Windows™. Easily navigate through this map by expanding and contracting branches, zooming in on select topics and linking to web sites and specific information, presentations and multi-media. The MAP software used here is produced by Mindjet®. It is called “MindManager® Pro” and the full programmable version is available at http://www.mindjet.com/. Any user is free to download the MindManager viewer application. This is a standard Windows installer which is installed directly on the system. 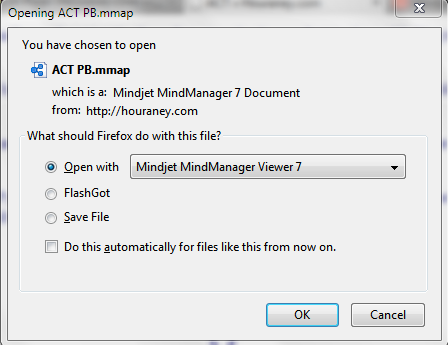 The viewer will open any MindManager .mmap files in read-only status. The viewers are capable of reading notes, utilizing hyperlinks, opening attachments and standard navigation of map files. The viewers currently do not perform other more advanced functions. The standalone viewer version is based on MindManager 7 for Windows and MindManager 7 for Mac but can open files created in MindManager 9 or 8. For a Mindmanager 9 or 8 version viewer, use the trial version of MindManager 9. When the trial expires, it will still function as a read-only viewer. You will now be able to use the full functions of the MAP and its simple navigation to all the information. MindManager is a great tool in the mission that ACT represents. You can easily inform and educate your friends and colleges by using it. You will be amazed at the totality of information offered within this simple MAP.